They’re wary about the course of the U.S. economy no matter the White House occupant. They’re concerned about the uncertainties created by issues such as regulatory over-reach and geopolitical volatility. And they’re even more worried about the sure things of the new year, which they see as more terrorism and cybercrime. 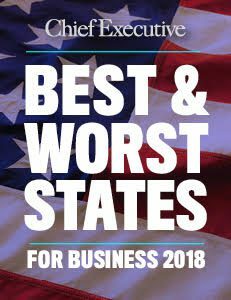 In fact, the 17 diverse CEOs surveyed by Chief Executive about their outlooks for the new year (see sidebar below) collectively fear that the completion of a nasty political season won’t salve many of the substantial doubts they have for their companies, their industries and the American economy as 2017 unfolds. Several of our interviewees expressed apprehension about both business investment and consumer sentiment and spending. CEOs in the Business Roundtable reflected this same glum prospect for 2017 in the group’s third-quarter Economic Outlook Survey. The chiefs expressed lower predictions for sales, roughly unchanged plans for hiring and nearly flat expectations for capital spending through the first quarter of the new year, while their consensus projection for GDP growth for 2017 was just 2.2%, or no better than the average gain during the seven-year-old, wheezing economic expansion. Certainly, gasoline prices that have fallen by nearly half in the last few years are one big reason that U.S. auto sales reached a record level in 2016, climaxing in demand, sales and prices, many CEOs also cite fears that 2017 will present continued difficulties in getting proceeds to the bottom line. One of the biggest challenges they see is the costs of dealing with ever-expanding regulation by the federal government. And it’s no surprise that CEOs in healthcare seem among the most distressed, as Obamacare continues to transform their industry while failing at this point to achieve the democratization of care and reduction in medical costs that was promised with the overhaul. In an environment they expect to be challenging again in 2017, CEOs are turning to a number of expected antidotes, including innovation. Newell Brands CEO Mike Polk, for instance, is counting on “innovation, brand development, insights and e-commerce” to enable his company—which owns dozens of popular marques, including Calphalon, Elmer’s, Oster, Rawlings and Sharpie—to “outperform the macros” in the wake of its 2016 merger with Jarden, another big manufacturer of consumer goods. Meanwhile, International Flavors & Fragrances spent more than 8 percent of its revenues on R&D in 2016, about the same as in 2015. One of its biggest innovation plays is a “modulator” that will help food and beverage companies reduce sugar content by up to half as they cope with greater global demand for ways to reduce sugar content. As always, change and even uncertainty are also creating new opportunities for just about every industry. For many CEOs, just the glimmer of such openings is enough to generate optimism for the year ahead.